How to earn passive Income? Home » Money & Wealth » How to earn passive Income? Before talking about passive income first, let’s do a simple exercise. I will ask few questions and I expect you to answer these questions in two minutes. Let’s start. What is your money making mindset? What will be your primary source of income in life? Just visualize and try to answer this questions. Ok, what comes into your mind? I bet that maximum people have thought about Job or business for making money. Some smart people might have thought about job and business both for making money. Good, I sincerely appreciate this approach. Whatever answer you got but one thing will be common in all answer would be – I need to work in order to earn money. However, today I will be sharing a new way of earning money where you need to work only one time and money will come multiple times. Isn’t it interesting? Yes, I am talking about Passive income or residual income. Passive income or residual income is a way to earn money smartly. So, for all you smart people here is detail about residual income and ways to generate the same. Income coming from your investment such as rent from your home or shop. Royalty income from the sale of copyrighted material. Interest earned from fixed deposit or dividend earned from stock. Commission income from the sale of insurance policy. 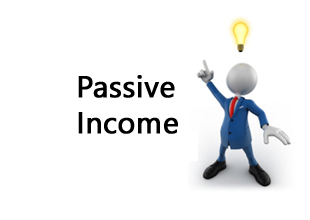 Passive income does not mean extra income of 4-5 thousand per month. I see residual income as the main source of income. This income could be 40-50 thousand per month or 4-5 lac per month. In short, you should able to live happy financial life from passive income. As per me, maximum people who are living financially abundant life are living on passive or semi-passive income. For example today famous writer Chetan Bhagat is earning residual income for royalty on a regular basis. Big Bollywood movie stars apart from earning acting fees they earn a lot of passive income from businesses. They never get actively involved in managing these businesses. Famous cricketers Sachin Tendulkar and Kapil Dev is managing restaurant chains and earning lot of money. Many big businessmen follows similar thing they invest money in business and appoint CEO for managing they never get involved in business. So, in life, if you want to earn more money you should think about making passive income. You must be thinking now how to earn passive income? A simple answer to this question is a place from where you brought Active Income. Your thought process. You are able to generate active income because you thought about it. You got your degree to get a good job. You have cleared banking exam to become a bank manager. You are running internet café to earn money. You have started restaurant business to make money. There is no doubt that whatever job or business you are doing for earning active income is an outcome of thought process. The thought process which is superimposed on you from your childhood by your father and mother or relatives. Or it may be an outcome of your observation where you have seen everyone earning money in the same manner. Do work and earn money regularly, maximum people adopt this theory and never thought about anything else. They will never think that whatever is earned, they can invest and generate passive income so that they need not to work again. So it means it is possible to retire early in 40’s instead of 60’s. Yes, it is with the power of passive income. Friend’s intention of today’s post was to make yourself aware of residual income and to change your money making mindset. I hope this post will inspire you in generating residual income. Remember you don’t require a lot of money to start building residual income. You can build a passive income with your skill or by doing a small set of investments. At the end, I want to clear one thing that I don’t want you to run away from work by developing passive income mindset. I just want to inspire you to start working for passive income so that you can live happy financial life forever. How to Generate Residual or Passive Income? I am regular follower of your blog and find them of great interest ; especially where you discuss about various ideas of making money – actively and passively.. I would like to add one more stream, where I am actively involved is being an INSURANCE AGENT / MUTUAL FUND DISTRIBUTOR. I get my renewal commission from LI + Mediclaim policies month on month (The ones I sold 4-5 years back) and also trail commission on Mutual funds wherein I have advised my investors to invest years back. You can elaborate on this point as well..